It is well established within Reiki that the energy we channel is ‘intelligent’. Some people believe that the energy is innately intelligent, perhaps because of its divine origins, and some believe that the intelligence of the energy is accounted for by the presence of spirit guides who direct the energy as we treat someone. Others believe that it is the body that is intelligent, drawing the energy to where it needs to go. Most of us will have noticed that the energy will move from where our hands are resting to other parts of the recipient’s body, drawn according to the recipient’s need to areas of need, so it is clear that it doesn’t always restrict itself to where we place it. Some people take the line that Reiki will work perfectly well no matter what hand positions you use, irrespective of the knowledge and experience of the practitioner and whether or not the practitioner can work intuitively. The implication of this is that you could quite happily carry out a Reiki treatment by simply holding someone’s hands for an hour and the energy would be drawn to the areas of need, and that there is nothing that you could do to help make the treatment more effective. Using intuition to decide where to put your hands (rather than following standard hand positions) and what aspect of the energy to emphasise during the treatment, or where to direct your attention. 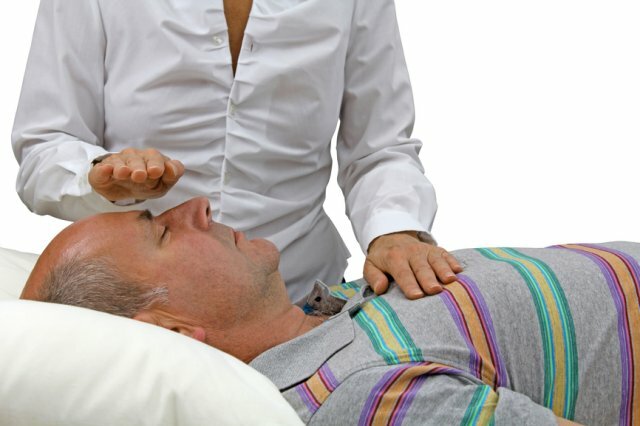 Many people will use techniques designed to balance the chakras, while at the same time maintaining that Reiki is intelligent and will always give the recipient what they need. Yet imposing your will on the energy and using it to balance the chakras is over-riding the way that the energy will work in the body, is it not? Surely if Reiki is an intelligent energy then it will balance the recipient’s chakras in a way that is appropriate for the individual, without the practitioner doing anything specific to achieve this. If you routinely direct Reiki to balance a person’s chakras you are suggesting that Reiki will not balance the chakras without direct intervention by the practitioner. Since most people would agree that Reiki works on your energy system and produces beneficial effects on all levels, how could it not balance your chakras during this process? Either Reiki is intelligent, in which case you don’t need to spend time balancing people’s chakras, or it isn’t intelligent, in which case we would always need to move in to balance the chakras. Do you really need to balance someone’s chakras? I believe that spending time balancing people’s chakras using Reiki is unnecessary, and that Reiki will do to a person’s chakras what needs to be done to achieve balance for them at the end of a treatment. Of course subsequently the chakras will drift out of balance again, back to their more habitual state, but I believe that by repeating a treatment you are showing the chakras what it is like to be in a state of balance, and that repeated exposure to this balanced state, by providing a series of treatments, helps to move the recipient’s chakras more into a state of balance long-term. Another challenge to the ‘Reiki is perfectly intelligent, we do not need to develop ourselves as a channel, we do not need to work intuitively” point of view is the fact that people are able to develop an intuitive ability and find that their hands are guided into combinations of hand positions that are different from one person to another, and different from one treatment to another. This suggests, of course, that there are sequences of hand positions that are more appropriate or effective in dealing with an individual’s problems on that occasion than simply applying a standard template. If a standard template is always sufficient – or just holding someone’s hands for an hour is all that is needed – why would our hands be guided by the energy to direct the energy into particular areas, distinctive for that recipient and different from the hand positions elicited for another person? In practice, I have found that people treated with intuitively-guided hand positions find that the energy seems to penetrate more deeply, that the treatments feel in some way more relevant, more profound, more effective than when standard positions are used, and that is my impression too. Treatments based on intuitively-guided hand positions seem more powerful, sometimes a lot more powerful, than treatments based on standard hand positions, since we are directing the energy into just the right combination, and sequence, of positions for that person on that occasion. 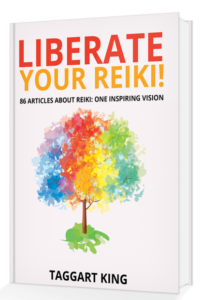 If we look to the origins of Reiki and the way that Mikao Usui taught, we can see that intuitive working was a fundamental part of the practice of Reiki, and still is in Mikao Usui’s Reiki Association in Japan to this day. Why would Usui have placed so much emphasis on using intuition if standard hand positions – or no hand positions – are just as good in terms of producing good results? He was a practical man, after all. So there is something special about working intuitively: it seems to do more than standard hand positions can. For the benefit of students who could not yet work intuitively (and that is the important point), Chujiro Hayashi produced a long list of what could be described as ‘good places to put your hands for different medical conditions’, which suggests that certain combinations of hand positions are more effective in dealing with specific conditions that applying a standard template. Why would Dr Hayashi have produced such a list if, as many believe, Reiki is an intelligent energy that always goes where it is needed? We should remember, though, that this list was a stopgap, and that intuitive working was the ideal. 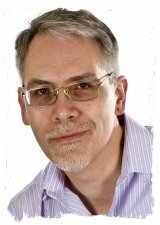 Reiki: Intelligent to an extent? The above suggests that although Reiki may be intelligent to an extent – or the recipient’s body is intelligent to an extent – we can enhance our treatments through some of the things that we can do, for example allowing the energy to guide us in terms of where we place our hands. Further inconsistencies in the ‘Reiki is perfectly intelligent’ point of view come through the use of symbols: if we think about it, as soon as we start using any of the Reiki symbols in the Western fashion, perhaps routinely drawing the symbols as we treat, in a pre-determined sequence, we are consciously over-riding the way that the energy wants to work when left to its own devices, and imposing our will by directing the energy in a certain way. Yet if the energy knows exactly what to and where to go, why would we need to use symbols? Why would we need to impose our control over the energy in this way? But this is not the only way that the symbols can be used. Just in the same way that we can move beyond standard hand positions to embrace intuitive working, with all the benefits that are associated with this, we can also work intuitively when we use the symbols, allowing the energy to guide us in terms of which aspect of the energy we emphasise, if any, during a treatment. I believe that Reiki is an intelligent energy to an extent, and is drawn by the recipient’s need to the appropriate areas, sometimes over-riding the way that we have directed the energy if that is required. However, we can assist in providing just what the recipient needs on each occasion by working intuitively, by being open and allowing the energy to guide us. I believe that we work in partnership with the energy, and that we are not simply empty tubes through which the energy flows. Through the development of our intuition, we can understand how the energy needs to be directed by us to better help our clients: where best to put our hands, and what aspects of the energy need to be emphasised.